Maintenance of Website and journal infrastructures. NOTE: above charges include only for maximum 5 authors per research paper. We will provide the hardcopy of the certificates only based on author request.additional charges are applicable for the hardcopy..
Hard Copy of published paper and Dispatching charges. Maintenance of Dispatching, Website and journal infrastructures. Login in your AUTHOR HOME account (LInk- http://www.ijpub.org/Authorhome/alogin.php) by your paper registration id and first author mail id. Go to "HARDCOPY Related" tab. Click on button - "Click Here to submit the request of hardcopy"
Update and verify Address Details After this step we will dispatch hard copy of certificate within 2 Months. Only maximum 5 authors will be allowed for single paper publication. Our basic publication fee(Rs. 2100) include only 5 authors. Our basic publication fee(Rs. 2100) NOT include hardcopy of certificate, confirmation letter and published paper. And if you want to hardcopy of the certificate, confirmation letter and published paper then author have to pay 500 Rs and DOI 400 addition charges. Author can check more details about the hardcopy of certificate and DOI from AUTHOR HOME. Login into AUTHOR HOME and go to 'pay Publication Charge'. select appropriate payment type and pay. Take the Receipt of Payment Deposit from Bank/transaction ID. And send scanned copy with registration from. 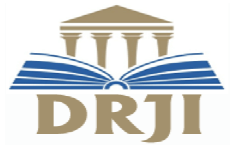 Kindly Contact editor@ijedr.org for credentials.